ETX Capital is a quite old company with history dates back to 1965, that acts as a global provider of online trading innovative technology and giving an opportunity to access up to 6000 markets, supported by strong customer service team and enhanced opportunities through FCA regulated guidelines. It is true that the ETX primary business is heading more to institutional traders or clients, yet as the retail trading and volume growing daily, ETX Capital expanded its offering to the global traders as well. Even though online trading offering is active for the last 15 years, it now became one of the competitive trading solutions, and what is more important reliable solutions. Therefore, by choosing ETX Capital as a broker you will get not only an alternative of different tradable markets, worldwide financial indices, numerous equities, 50+ Forex pairs, a considerable number of commodities, CFD products or spread betting available for UK residents only. You will also find numerous powerful features that were previously available for institutional clients only. The ETX Capital follows the strategy of tight spreads, since as tighter spread the smaller is the distance that the market in question has to move in, so you can benefit and enjoy truly competitive pricing. 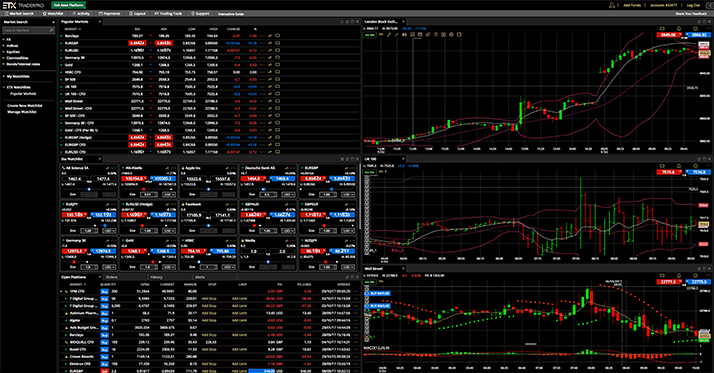 In addition, the broker undertakes to ensure that new traders are properly educated and ready to start trading. For that reason, Demo account is available for opening at any time, as well as the detailed and various levels of trading education that considered to be on a very high level comparing to its peers. And of course, you would be trading with constant customer support services that are available and responds by phone or email, or an international number for non UK traders. Overall, for its strives and achievements, ETX Capital has gained various awards and gained international recognition, which ensures quality of ETX trading services, not only from the reputable issuers but at the traders’ community as well. Is ETX Capital safe or a scam? ETX Capital is an online trading name of Monecor (London) Limited, the firm headquartered in London and authorized by the Financial Conduct Authority, as well as the active member of the London Stock Exchange. In fact, being an established firm under the strict rules of FCA, which actually is one of the strongest and most sharp regulators in industry, means ETX Capital has appointed each and every rule to their procedures that ensure broker’s reliability. 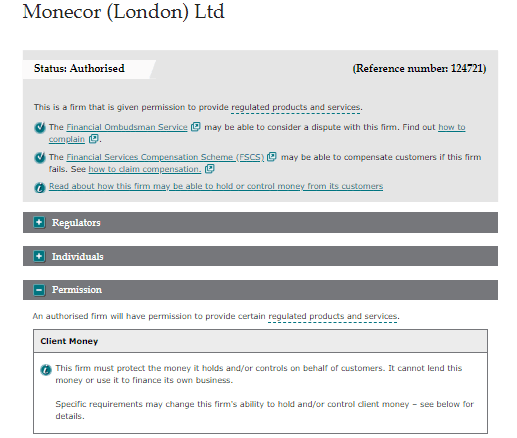 These set of authorized controls including the most important thing to keep customer money secure that including but not limited to daily security checks for sufficient regulatory capitals, separation of the client’s funds which are also kept in investment grade rated UK banks, participation in schemes that covers traders in case of insolvency and many more. To simplify the account opening process, ETX Capital provides its clients with one standard trading account, while the only choice goes to the platform that offers three different elaborated platforms, allowing to select the one that suits the best. ETX Capital brings trading opportunity with access to 5,000 markets and spread betting round-the-clock with a variety of tailored price alerts through email or texts, customized chart and indicators, limits, drag and drop stops, as well educational and analysis support. The tools are available on both platforms that ETX Capital stays on and includes proprietary ETX TraderPro, a truly powerful, fully customizable software, yet with intuitive design and advanced charting. ETX TraderPro featuring flexible graphs options and is a platform with the highest grade professional tools, bringing highly interactive trading with a chance to embrace into significant risk in the ambition of significant returns. Likewise, you still have a choice to use an industry leading MetaTrader4 that is famous for its charting package, selection of automating capabilities or ability to bring own EA’s to automate orders. MT4 is a global platform with around worlds presence, highest implemented security and execution offers, that gained highest rankings and it is smart enough from ETX Capital to propose both platforms to your convenience. Moreover, ETX Capital offers all of its platforms in mobile format, meaning that you can access your TraderPro platform on your Apple or Android phone or tablet. Nowadays, most traders executing positions wherever they are, that’s why ETX trading allows you to move around freely while you trade. As for the ETX’s spreads tariffs, since the broker has access to the institutional greed of pricing, the ETX Capital trading fees are built into the spread. As you can see below, the ETX spread is a very competitive offering among the market, as Forex spreads start at 0.7 pips for EUR/USD, Equities – 0.08 indicative spreads for some stocks, Commodities– minimum spreads starting from 3 pips, Indices– minimum spreads starting from 1 pip for certain major indices. “Typical” spreads for noted pairs represent the median and are tracked during a specified time frame, however Spreads may vary based on market conditions, including volatility, available liquidity, and other factors, for most recent quotes check official ETX Capital website or platform. While the ETX Capital trading fees, which are built into the ETX Capital spread, considered to be on a very competitive level among the market offering. Check out and compare ETX Capital fees to IC Markets. ETX Capital tries to offer a potentially appropriate opportunity to their traders since increased leverage may also increase trading risk. Hence, ETX Capital leverage rates are set to a 100:1 for most of the products and 200:1 on some MT4 products. Although you should always note that potentially favorable opportunity of trading leverage should be used smartly on various products in order not to face not predicted loses. In addition, the recent European regulatory updates lead by ESMA, with a purpose to protect clients from negative impact, mandated to decrease leverage to a maximum of 30:1 on Forex instruments and even lower for other assets. ETX Capital offers a range of popular ways to deposit money into the trading account that allows you to choose among major Credit and Debit Cards except for AMEX, Wire Transfers, Online Bank Transfers, as well several forms of e-payment UnionPay, Skrill, Sofort, giropay and Neteller. A very pleasant addition is that the ETX does not charge fees for making deposits, while the minimum deposit amount set to a £100 or the currency equivalent. For withdrawals, ETX Capital also applied competitive proposal, as supplies each trading account by five withdrawals over USD 100 within each month without a processing fee or withdrawal fee. Further on, in case you wish to withdraw more funds than it will incur a charge of 25$ per transaction. In short ETX Capital has everything to prove the reliability and excellent reputation. Years of experience and long operation history of the ETX Capital parent company still keeps a broker at a strong position among institutional providers as well as maintain competitive offering to the traders. Nevertheless the broker work with vast of institutional clients, the retail traders will find ETX Capital expanded approaches too. Among the ETX Capital benefits, we have to admit their platform solutions, as well comprehensive and well-built educational system with a range of free materials available to traders of a different experience. Therefore, ETX Capital is an ideal solution for a beginning trader or the seasoned ones to enjoy and use powerful trading features. Overall, ETX Capital’s proposals feature the convenient way to trade and cooperate, hence the firm definitely has to be considered while choosing the broker for you to start trading or by the next trading step.